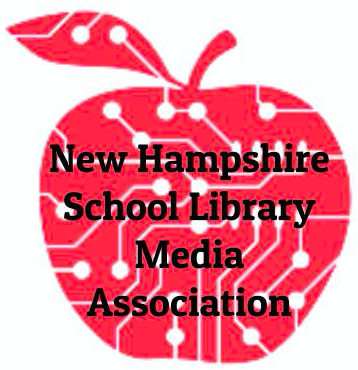 NHSLMA empowers librarians in New Hampshire schools to build effective school library programs. Login to your NHSLMA account to access the member directory. Using Chrome and want to subscribe to the RSS feed? You will need to add an RSS extension. Thank you to the Awards Committee and all who submitted nominations. There is a course called Banned Books taught at Franklin Pierce University in Rindge, NH. I am a freshman here at the university and I decided to take the course during the school year 2017-2018. During the course, we read approximately a dozen banned books like Lysistrata, Witches, Looking for Alaska, and Fanny Hill. While reading the book, we would discuss the author's intention for creating it, why we think the book was banned, and why we think the story should be kept on the shelves in schools, and libraries. The reason I took the course was to see how society's views of inappropriate book topics have changed over time. After learning what I did in Banned Books, I can say that it was a very challenging and fascinating experience. An important aspect of the class, that was very challenging, was an individual project called the Library Censorship Report. For this we were required to contact one school library and one public library, and to request that they inform us their book challenging policy, the process if it were to occur, and any history they have of books being banned there. For this assignment, I decided to reach out to my old high school library (Merrimack Valley High School) and the New Hampshire State Library(NHSL). Upon contacting the two libraries via snail mail, I received word that neither had ever received a request to have a book banned, or even challenged. But after speaking with the librarian there, Rebecca Stockbridge, my contact information was then sent to four more people. I soon discovered by speaking with Jessica Gilcreast, the Bedford High School Librarian, that there was a book challenge at Bedford High School many years ago. The book was eventually pulled from the curriculum, but is still available in the school library. After reading through the minutes and the process it takes to ban a book, I became very appreciative of my ability to read the twelve banned books during my course. I also became very thankful that no books had ever been challenged or banned in my high school, because I would have been missing out on learning opportunities. Through taking the course, I have also become more aware of how often books get banned or challenged in the U.S., and which states it is more likely to happen in. I intend to use this knowledge of book challenges and bans to prevent them so others can continue to learn, and I also would like to continue passing my knowledge of this onto others so they can hopefully prevent bans too. We’ve all heard that one before. But during my service on the American Association of School Librarian’s Board of Directors as the Director of Region 1, I’ve received much, much more than I was able to give. I was nominated to run for this national position after serving on the NHSLMA board for several years and volunteering for different committees at the national level. In order to be elected, I had to speak at the AASL Candidate Forum during the ALA Midwinter conference. If you have not yet attended an ALA conference you will one day find that the AASL events are filled with familiar and friendly faces. The speech was nerve-wracking - but fun. The national election was held after the conference. in AASL, every member casts their vote for every elected position. If you have interest in running for a national position, good starting points include writing book reviews, blogging, serving at the state level or on AASL committees, or sharing ideas on social media so school librarians from other states will be familiar with your name. I was grateful to win the election - especially because nobody was running against me! One of the first duties of a newly-elected board member is to attend ALA Annual. During each ALA conference the board meets three times. At the first board meeting, new members are assigned mentors and learn the board's policies and procedures. We took online quizzes in order understand all of the ALA and AASL policies and then received our first 100-page agenda. It was a bit overwhelming but helped new members keep up with the fast-paced meeting. The meetings were interesting, as we were asked to consider updating long-standing policies, review budgets, and vote on the future of the organization. It was a thrilling time to be involved on the board as AASL was in the process of creating new national standards - and the ESSA legislation was being passed into law. We spent one meeting defining what an effective school library program means and that definition has since been added to the new legislation nationwide. In addition to attending both ALA Annual and Midwinter each year (which does require some financial and logistical investments), I was also invited to attend many conferences and events at the state and regional levels. I was able to share information about ESSA and the new AASL standards with school librarians all over the region. Giving these presentations provided me with an opportunity to comprehensively understand the information I was presenting - and to meet school librarians all over New England. You're probably already considering reasons why you can't volunteer: potential costs of travel, impacts on your personal and professional time, or the constant notifications of an inbox that's already overflowing. These demands are real, but I encourage you to consider the many benefits to volunteering. I believe school leaders are driven by an altruistic desire to help - whether that be their schools, their communities, or their profession. The time I spent in building relationships, learning new skills, studying materials, and meeting school librarians from all over the country was an investment in myself. Here are some examples that may resonate with you. I strengthened my leadership skills - and being a better leader made me a better school librarian and teacher. My position on the board encouraged me to dream beyond my own region and embrace a global mindset - which empowered me to travel more and bring new perspectives back to my own school. Working with a dynamic group of accomplished librarians helped me to increase my capacity for understanding by working to build something bigger than myself. Serving for a local or national professional organization is a great resume builder. Administrators want to see the connections you made, the lessons you learned, as well as your dedication to a career rather than a job. Thinking about getting more involved? A great first step is to start working at the state level. Contact Donna Zecha, Rachel Hopkins or Caitlin Bennett and let them know your interest in serving in some capacity at the state level. We're always looking for librarians to write for the NHSLMA blog, NH representatives to send to the Affiliate Assemblies at ALA conferences each year, and volunteers to help with planning events and conferences. In the words of Winston Churchill, "we make a living by what we get, but we make a life by what we give." Serving school librarians at both the state and national level has helped me to make a joyful and satisfying life. The new AASL National Standards are here! In November, I had the amazing opportunity to fly to Phoenix, Arizona to attend the American Association of School Libraries annual conference and Affiliate Assembly. The Affiliate Assembly was a ”train the trainer” event that was held so that two representatives from each state could have an immersive experience in unpacking the newly released standards for School Librarians, Library Learners, and School Library Programs. It was truly an experience of “drinking out of a firehose” for 1.5 days. The group was very fortunate to have the expertise of the librarians who worked in all areas of the new standards, from the creation of the task force to the structure of the strategic plan, to the drafting and evaluation of the standards, to the creation of the implementation plan. We were broken into small groups and worked on different pieces of the Shared Foundations and analyzed how we currently apply them in our schools or classrooms as well as how we could advance and expand our implementation. There was a lot of moving around and members of the task force who were not leading the activity acted as participants in order to assist us “newbies” in making the connections between the abstract to the concrete. I left with a very strong understanding of the Inquire foundation, since that was the one I worked on with my group. The other foundations are Include, Collaborate, Curate, Explore, and Engage. The acronym ICE, ICE Baby was used in order to assist us in remembering the six Shared Foundations. As board members of NHSLMA, Justine Thain and I will be working as a team in order to train our membership on these standards. We are currently in year one of AASL’s three-year implementation plan, which will provide us with more resources to share with you. I have included some links below for your reference. Please feel free to contact me with any questions. Watch for announcements about upcoming virtual and in person trainings. Thanks to ORHS librarian Kathy Pearce for sharing a recent student post reflecting on the impact that the Hack Shack has had over his high school career. Sign up to receive student posts throughout the year on the right side of the blog. So many great reasons to attend CMTC this year! On Monday and Tuesday there will be sessions by David Loertscher, the "Learning Commons Guru" - these sessions will fill up quickly so register soon. The Keynote Speakers are Steve Dembo is a pioneer in the field of Educational Social Networking and Adam Bellow of Breakout EDU fame - they will both have a Keynote address and several sessions to attend. Thursday will be OUR day! We will start out recognizing our 2017 NHSLMA award winners and have a fabulous Lunch Session with Anita Cellucci presenting: THE EMPATHETIC LIBRARIAN: SOCIAL EMOTIONAL LEARNING IN THE LIBRARY. There will be many great sessions to attend on Thursday, many presented by our wonderful New Hampshire librarians. If you are looking to attend CMTC and need some assistance funding, please go to the NHSLMA website for more info or contact kabraham@laconiaschools.com. See you all in November! 1. It’s my professional community. Are you the only school librarian in your school? In your district? When you are in need of peers to discuss library ideas, issues, challenges, problems and solutions, the NHSLMA community is here for you, with a wealth of knowledge to share. 2. Members are the experts! Each and every member of NHSLMA has something to offer, whether it is a successful program they implemented, a new way of looking at the library environment, or maybe just a great lesson. NHSLMA provides multiple opportunities to share your own expertise as well as learn from other experts. 3. It’s my go to resource.The NHSLMA website has information about everything from learning opportunities, to advocacy, to connecting with librarians throughout the state. If I have a question about librarianship, this is where I start my research. 4. 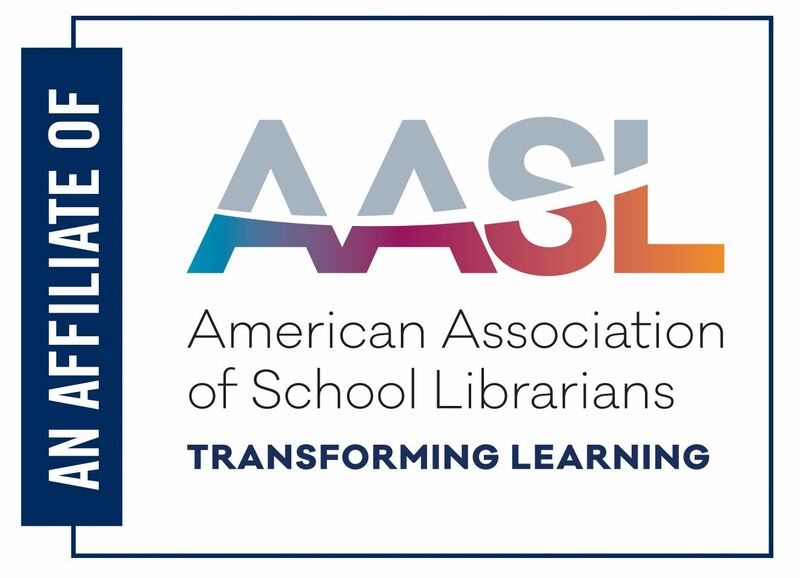 The AASL connection - NHSLMA is an affiliate of AASL, and we have representation at both AASL and ALA national conferences. Our representatives share the latest and greatest from AASL with our entire membership. 5. I love getting together with our membership. Our conference, Library Camp, and regional PD groups are alway fun gatherings where we learn from experts in our field and each other. These events are constantly evolving to meet the needs and desires of our current members. Are you a member? Now’s the time to login and make sure your account is active and up to date. If not, become a member today! Update your profile with a picture by the end of the month and be entered to win a $25 amazon gift card! Watch this video for a quick tutorial. Sign up to participate in a regional group which will be coordinated this year by board member Karen Landsman. Be on the lookout for the Christa McAuliffe Technology Conference brochure. We are excited to announce Anita Cellucci, 2016 SLJ Librarian of the Year finalist will be our luncheon speaker on Thursday. Share or ask questions on Twitter with the #nhslma hashtag - include #tlchat to reach a wider audience. The feed will be curated by a different member each month so make sure you are a follower. Let me know if you’d like to write a blog post on a topic and be profiled on the NHSLMA website. We hope to bring you at least two a month. Update your contact information in the NHSLMA directory and include a picture. Send an email to the listserv with something that worked well or a problem that's got you stumped. Attend a board meeting held the third Thursday of every month 4:30 - 6:30, PSU campus, Concord, NH. Justine Thain and Audra Lewis will be representing NHSLMA at the November AASL conference and bringing back information about the revised standards. Donna Zecha and I met with our new Commissioner of Education, Frank Edelblut in July. Our goal was to make sure Commissioner Edelblut knows we have a strong network of librarians throughout the state that are willing to be called upon to participate as needed. We were pleased to learn he is a strong supporter and understands the value of libraries. Commissioner Edelblut, working with the NEA and other organizations, has also agreed to continue to fund educators access to EBSCO’s wealth of research resources to improve professional practice. Access information will be sent out through the listserv shortly. And lastly, a very big thank you to our Library Camp organizers: Karen Abraham, Audra Lewis, Justine Thain and Etienne Vallée for a terrific day. I don’t think I have ever had more fun at a conference. If you didn’t make it, or want to refresh your memory, visit the Library Camp Website for resources. If you have any questions or comments please don't hesitate to reach out to me at rachel.hopkins@nhsau57.org. I hope to see you soon at one of our many events. Best wishes for a terrific year.